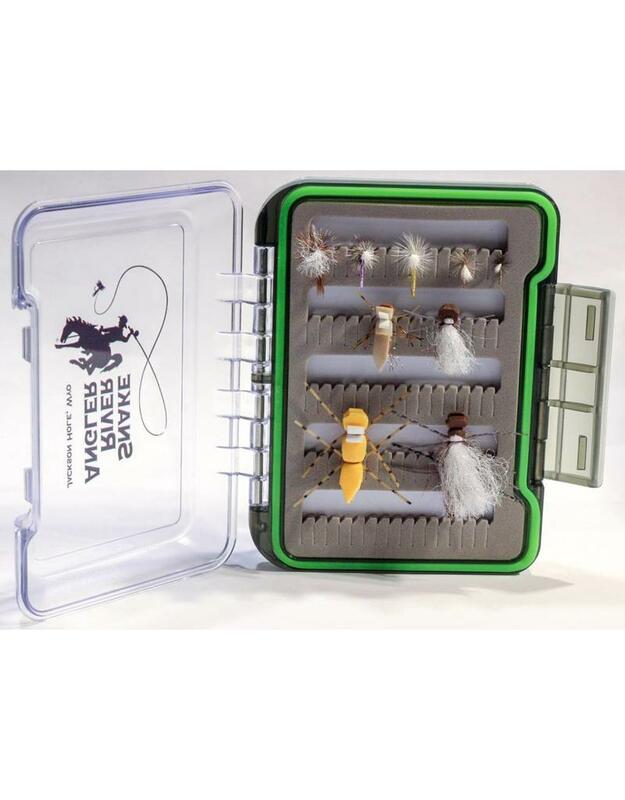 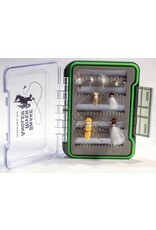 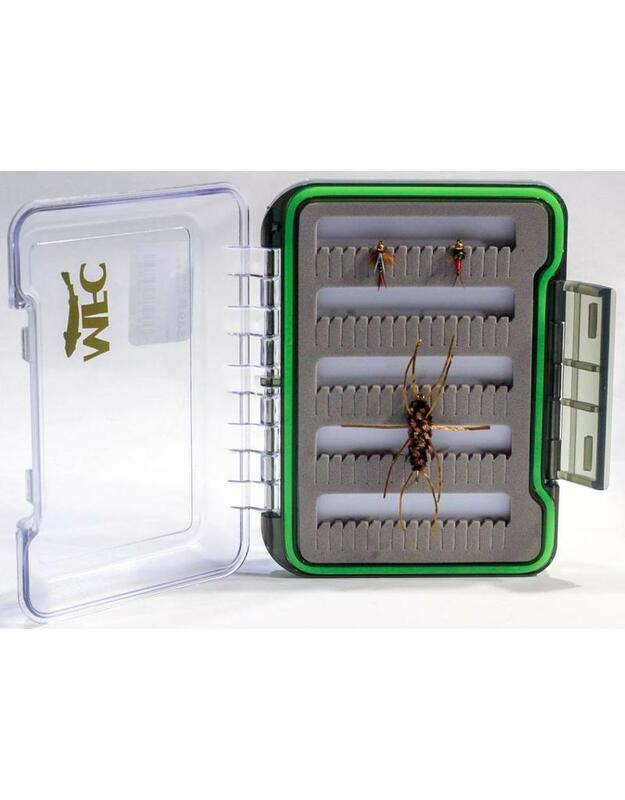 Our logo'd fly box loaded with a dozen flies you need to fish the Snake River in Jackson Hole. 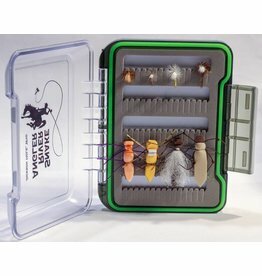 Prince Nymph #16, Red Copper John #14, Pat's Rubber Legs (Coffee/Black) #4, Extended Body BWO #20, Extended Body Mahogany #16, Extended Body PMD #14, Extended Body Purple #14, Parachute Adams #12, Dornan's Micro Water Walker (Golden) #14, Micro No Hackle Purple Bruce #14, Dornan's Circus Peanut #10, Dornan's Water Walker September Stone #8. 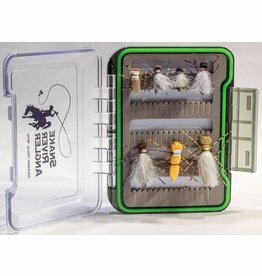 The flies you need to fish Grand Teton National Park. 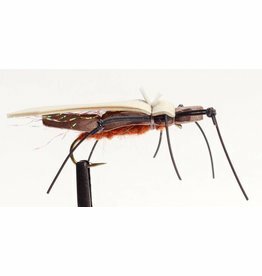 A dozen of Will Dornan's most proven patterns.